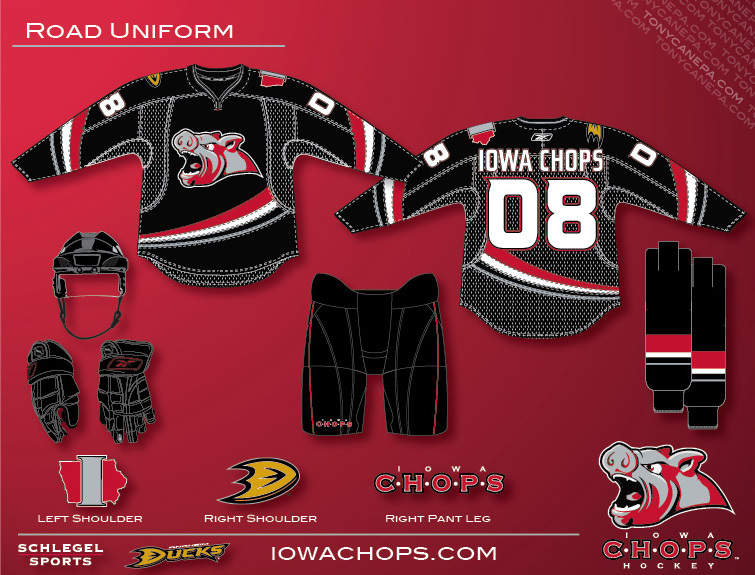 Here are the new uniforms I created for the Iowa Chops AHL Hockey team. 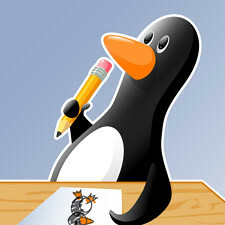 Obviously they are patterned after their NHL affiliate Anaheim Ducks' uniforms, so I can't take all of the credit here. The Chops name and logo is generating a lot of response throughout the intertubes, and it is exciting to see so many people take an interest in my work. Whether they love it or hate it, everyone seems to have an opinion. To quote Oscar Wilde, "The only thing worse than being talked about, is not being talked about." WOWEE! These look great! Congrats on the designs! I was initially bummed out about the name and the logo. After calming down and getting grip it has grown on me a lot. I think the sweaters are tight and appreciate your work. Rumor has it I am going to have to wait until Dec. to get my hands on one. Broodwich- I'm happy you are coming around to the logo. 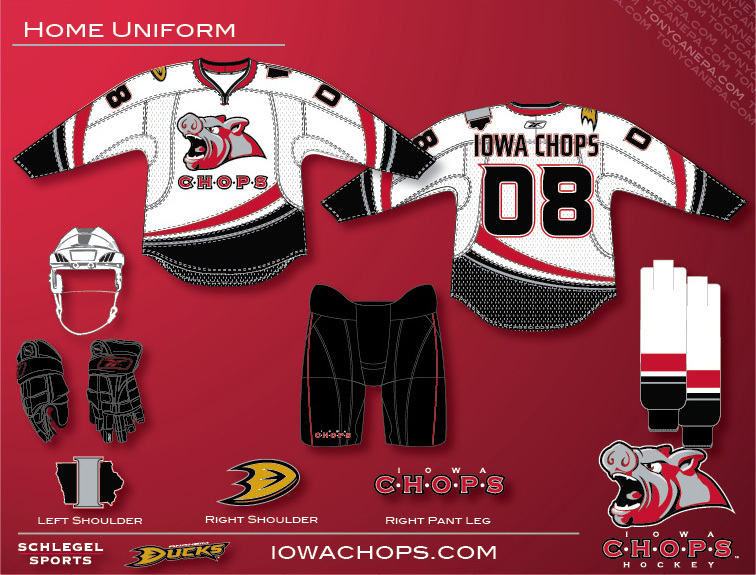 I really worked hard to create something all the fans could be proud of, and spark some interest in Iowa hockey. I am excited for the jerseys as well. But it's definitely going to be a little while until the fans can get their hands on them. Reebok (the official supplier) is working hard to get them out as quickly as possible. Their first priority is getting enough jerseys for the players, and us fans get the next batch!